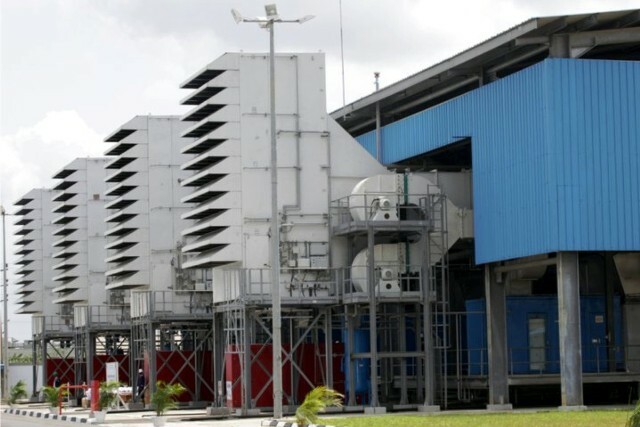 A section of an electricity gas turbine built by the Rivers State Government. Rivers State, one of the 12 maiden states created in Nigeria on May 27, 1967 under Decree No. 14 of 1967, marks its Golden Jubilee anniversary today. 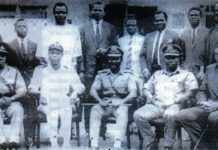 Much as the announcement by the then Head of State, Lt. Col. Yakubu Gowon, sparked off jubilations across the country, especially among minority tribes, it also seemed to have unsettled certain ethnic blocs within the polity. Gowon’s state creation exercise came at a time when there was already tension in the land following a bloody revolution and counter revolution that culminated in a successful military coup d’état in July 1966. 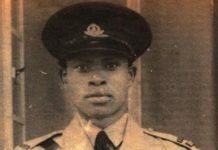 Apparently irked by Gowon’s deft political move and refusal to fully implement the Aburi Peace Accord reached in Ghana, Lt. Col. Emeka Odumegwu-Ojukwu, then military governor of Eastern Nigeria, had declared the region as the Republic of Biafra on May 30, 1967 in defiance to the federal authorities in Lagos. 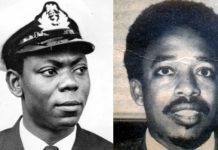 While Gowon and Ojukwu bickered over who leads the nation, the people’s apprehension reached fever pitch. There was massive relocation of citizens, particularly those of Eastern Nigerian origin who felt insecure in other parts of the country. A civil war eventually broke out two months later. Meanwhile, a 26-year old military officer, Navy Commander Alfred Diete-Spiff, had been announced as the governor of Rivers State with Port Harcourt as his seat of power. He essentially oversaw a war economy until the end of hostilities in 1970. The state’s economy actually began to rebound with the Gowon administration’s initiation of a massive programme for the reconstruction and rehabilitation of war-ravaged parts of the former Eastern and Mid-West Regions. New edifices such as the state Secretariat Complex, Waterlines House, Rivers State Newspaper Corporation, Rivers State Broadcasting Corporation, College of Science and Technology (now Rivers State University), Liberation Stadium, Alfred Diete-Spiff Civic Centre and some major roads owe their conception to that era. In addition to foreign construction companies like Nigercat, Monier Construction Company (MCC), Solei Boneh (now RCC) and Gufanti, mention also needs to be made of indigenous contractors whose efforts went into the construction of these legacy projects. They include A.C. Bobmanuel, O.K. Isokariari, Omuna Construction Company (OCC), City Group, Construction & Furniture Company (CFC), Bedkana Block Industries and Akarolo Technical Company. Unfortunately, only two or three of these firms are still standing to this day. Being mainly farmers and fisher folk, returnee Rivers indigenes, most of whom had literally survived on international humanitarian handouts during their Biafra sojourn, now found their farmlands and fishing grounds yielding bountifully after a long fallow period. For communities that were liberated early in the war and whose people did not venture deep into rebel territories, life quickly returned to normal with the Federal Government and foreign donor supplies always available to augment outputs from the farms, brushes and rivers. Of course, the erstwhile Eastern provinces of Port Harcourt, Ahoada, Brass, Ogoni and Degema (PABOD) which now constituted Rivers State were known to produce such food crops as cassava, yam, cocoyam, plantain, banana, rice, corn, melon, okro, vegetables and fruits, among others. Prominent cash crops include oil palm, rubber, coconut, timber and raffia palm. In terms of sea food, the state is noted for its fresh and salt water fish varieties, shrimp, oyster, crab, periwinkle, clam, turtle and sea nail. Meat sources include game, livestock and snail. The Diete-Spiff government also benefitted from the sharing of assets of the defunct Eastern Nigeria Development Corporation (ENDC) between Rivers, East Central and South Eastern States, being the three states created out of the former Eastern Region. It established the Rivers State Development Corporation (RSDC) to manage all the oil palm, rubber and coconut plantations that accrued from this assets splitting. These plantations included Elele Oil Palm Estates, Abara Oil Palm Estate, Odogwa Rubber Estate and Bonny Coconut Estate. RSDC was later renamed the Agricultural Production and Marketing Corporation (APMC) in 1975 before being split into Risonpalm and Delta Rubber Company in 1977 to manage the oil palm and rubber estates, respectively. The coconut estate in Bonny, having been long abandoned by later regimes, died a natural death. Risonpalm was reactivated by the World Bank in the late 1980s before relapsing into comatose in less than a decade. It is currently under a 35-year lease by a Belgian agricultural firm, SIAT. In fact, Governor Nyesom Wike had during a recent visit to the firm expressed satisfaction with its management and promised to create 10,000 jobs through planting of new nurseries at the Ubima Oil Palm Plantation. He also assured that efforts were being made to reactivate Delta Rubber Company. The Niger Delta Basin Development Authority also contributed to food production in the state. Its expansive rice plantations at Peremabiri and Isampou did serve to boost local rice supply in the 1980s. Other laudable state interventions like the School-to-Land programme of Mr. Fidelis Oyakhilome in mid 1980s could not be sustained by subsequent governments. It is on record that corn, okro, vegetables and poultry products were among items procured from its farms at Iriebe, Bori and elsewhere; hence, the popular Okro Market Bus Stop that exists at Iriebe till date. The Songhai Rivers Farms Initiative at Bunu-Tai was also full of promise at inception during the immediate past administration of Rt. Hon. Chibuike Amaechi. So also were the Buguma Fish Farm and the Cassava Processing Plant at Afam in Oyigbo LGA. Under the present government, practical agriculture has been reintroduced in schools across the state as a way of ensuring that each has a farm for the practical teaching of the subject while also contributing to the overall food output. At individual and cooperative levels the challenge has often been the lack of access to agricultural credits. Successive governments had also lost interest in going beyond their FADAMA counterpart contributions and being of any meaningful assistance during major crisis such as the 2012 floods that sacked communities and ravaged farmlands across the nation. Just as agriculture gradually but steadily made a rebound in the post-war economy of the newly created Rivers State, little did people realise that events in the Middle East between Arabs and Israelis would interplay to push crude oil and gas to the summit of Nigeria’s main revenue earners. In fact, with the early liberation of much of Rivers State, oil and gas giants like Shell-BP and Agip which had already established strong footholds in the sector were able to repair whatever damages the war had caused to their facilities and resume exports while hostilities still raged in the Ibo heartland. As the international price of petroleum soared, principally on account of the ban placed against any oil sale to the United States and Britain by Arab countries for supporting Israel in the Middle East war, Nigeria’s oil output rose to about 1.4 million barrels per day for the first time in 1974. This simply meant that the country and its component states had sufficient petro dollars to spend. And spend they did! Mass importation of foreign manufactures, salary reviews and arrears payments, vehicle allowances to workers, mandarin contract awards, scholarships and overseas staff development trainings became the order; and naturally resulted to the runaway inflation experienced at the time. 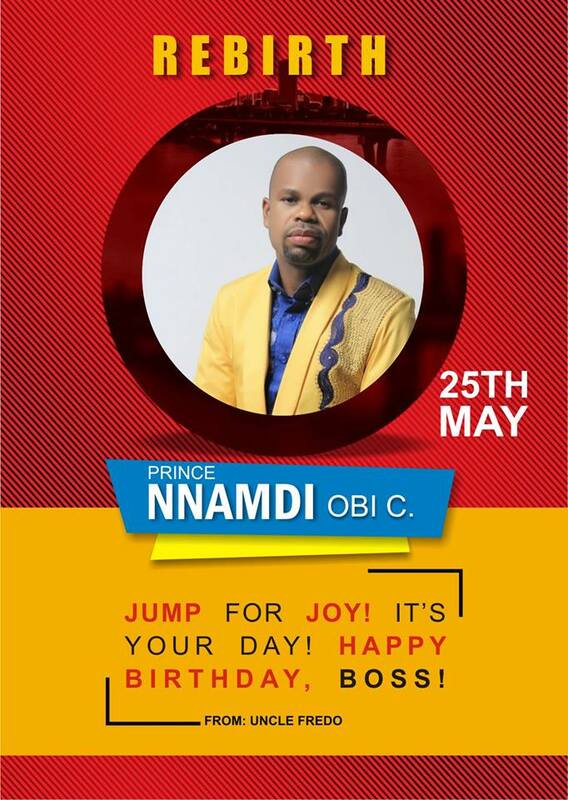 The siting of their operational offices in Port Harcourt suggests that these oil firms offered job opportunities to Rivers indigenes, paid their taxes and tenement rates to the government, awarded scholarships to students, provided social amenities to their host communities and boosted commerce in the state. Today, such major oil companies include The Shell Petroleum Development Company (SPDC), Nigerian Agip Oil Company (NAOC), Total Exploration & Production Nigeria Limited (TEPNL), Mobil Producing Unlimited, Nigerian National Petroleum Corporation (NNPC) which also operates two refineries at Alesa-Eleme and Nigeria Liquefied Natural Gas (NLNG) with its plant in Bonny. It is, however, regrettable that even as Port Harcourt still serves as the hub of oil and gas activities in Nigeria, these firms are reluctant to move their head offices to the oil city, citing the Niger Delta militancy and general insecurity as reasons. The good news, though, is that the new spate of divestments from marginal oil fields by the multinational oil giants has created a vent for the participation of indigenous firms in the nation’s oil and gas sector. It is now common to hear names like Moni Pulo, Nestoil, Belema Oil and Sahara Energy, among other upstream operators. As a thriving agricultural raw materials market and considering its position as a natural sea port and railway terminus, Port Harcourt had long before becoming a state capital established itself as an investor’s haven. Known in those days as the Garden City of Nigeria, ostensibly on account of its beautiful urban map and alluring flora, it has also had its share of industrial tenants, the bulk of which were located at the Trans Amadi Layout. They include Michelin, Pabod Breweries, Metalloplastica, Nigeria Engineering Works (NEW), Eastern Wrought Iron, West African Glass Industries (WAGI), Rivers Vegetable Oil Company (RIVOC), Rivbiscuits, Port Harcourt Flour Mills, Flag Aluminium, Crittal Hope, Indorama Eleme Petrochemicals, Indorama Fertiliser Company, NAFCON (now Notore) and Dufil Prima Plc, among others. Pabod Breweries which almost plunged into murky waters some years ago was recently rescued by South Africa’s SABMiller through a technical partnership that appears to be yielding good dividends to the state, alongside the Indorama Group. It is equally sad to note that a number of these firms which were once household names in the state have since closed down entirely or relocated out of the country due to poor electricity supply and general infrastructural decay resulting in high operating costs. Other reasons also include insecurity, influx of cheaper imports, incessant labour strikes, multi taxation, touting, foreign exchange difficulties and bureaucratic bottlenecks. In terms of commerce, the state’s position as host of the second busiest sea port after Lagos can only suggest that it constitutes a major commercial centre in Nigeria. Fifty years ago, only the NPA and Bonny ports existed for the shipment of mainly raw agricultural commodities and crude oil. But today, the state also hosts the Onne port. 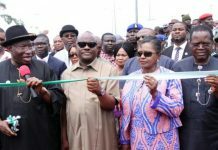 Governor Nyesom Wike had already revealed that his administration was already taking steps to develop infrastructure for easy access to key business areas like the Onne and NPA Ports in Port Harcourt. Again, proximity to Aba and Onitsha, two of Nigeria’s notable destinations of containerised imports, adds impetus to the state’s commercial status. Apart from Lagos ports which have remained functional over the years, the fortunes of Rivers and Warri ports have dwindled. For about the first 15 years after the creation of Rivers state, the NPA and Bonny Ports bubbled. News of the arrival of a cargo ship always reverberated as able-bodied young men rushed to the wharfs to earn quick money as ad hoc dockworkers. Over time, the dominance of international trading chains like UAC (Kingsway Stores), Leventis, CFAO, SCOA, UTC, John Holt and Chanrais has been whittled down by the emergence of local and new foreign rivals. Here in Rivers State, the government-owned Supabod Store was, under Chief Melford Okilo as governor, made to operate branches in almost all the local council area headquarters in the state. Elsewhere, the traditional markets, particularly the Rumuwoji (Mile One) and Mile Three Markets, had since been rebuilt into ultra-modern structures; while work on Phase 2 of the former is about to commence after a groundbreaking ceremony by Governor Wike. The ultra-modern New Layout Market in old Port Harcourt Township and its neighbouring Creek Road Market remain the main sources of sea food from nearby Okrika fishing settlements. Wike had recently directed the Greater Port Harcourt City Development Authority (GPHCDA) to avail the Port Harcourt Chamber of Commerce, Industry, Mines and Agriculture (PHCCIMA) land to build a permanent Trade Fair Complex near the Port Harcourt International Airport. This, according to him, is to make for accessibility and enhance profitability. The state chief executive also made a recent donation of 20 gunboats to the Navy to boost security on the waterways while also promising to tackle touting and multi taxation. Before the creation of states in 1967, what existed in most of the provinces that formed Rivers State were narrow roads constructed by the regional administration and the few tarred roads built by the oil companies to access their oil facilities. Unfortunately, a number of these roads and their bridges suffered severe dislocations during the civil war. Having also been heavily mined during the war, some of these roads remained booby traps until the end of the Federal Government’s post-war reconstruction efforts in the early 1970s. With the routes relatively free of abandoned ordnance, the Diete-Spiff administration rolled out several Tata buses to ply Rivers roads under the Rivers State Transport Corporation (RSTC), precursor to the now commercialised Rivers Transport Company (RTC). As people recovered from war weariness, they began to deploy private commercial vehicles into the public transport space. With time, even motorcycles became the most ubiquitous and were widely used for criminal pursuits which probably led to their ban in Port Harcourt and neighbouring local government areas in early 2009. For the riverine communities, the administration deployed some state-of-the-art river craft. Marine Base in Port Harcourt was a beehive of activities since it served as a central boarding point for people travelling to distant places like Bonny, Bille, Nembe and Brass. Sadly, no new acquisition of such boats has been made by any administration after Diete-Spiff. There were even indications that successive regimes hardly maintained or kept stock of these vessels. 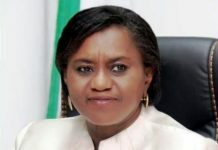 Only recently, this administration was reported to have retrieved a state-owned marine transport vessel abandoned at a naval yard located on the outskirts of Port Harcourt, promising to refurbish and deploy same in no time. In fact, the last time any past administration did anything meaningful to uplift marine transportation in the state was probably in 1988 when the then Col. Anthony Ukpo built the Nembe/Bonny/Bille Jetty, now being rebuilt by Barrister Nyesom Wike. The incumbent governor’s desire to revive marine transportation in Rivers State is already palpable having since reconstructed and commissioned the ATC Jetty in Okrika and also directed the Ministry of Transport to engage relevant professionals to identify and rebuild dilapidated jetties across the state. For the greater part of the last 50 years, air travels from Rivers State had been through the Port Harcourt International Airport at Omagwa. The Port Harcourt Aerodrome (now Air Force Base) which had served as the only such air facility around still retains the patronage of some notable domestic airlines like Aero, Arik Air and Caverton. After a period of being rated among the world’s worst airports, Port Harcourt Airport is currently undergoing rehabilitation in line with the Federal Government’s new aviation sector master plan initiated by the administration of ex-President Goodluck Jonathan. Besides jet planes, helicopters are also regular sights across the Rivers airspace while mainly undertaking to provide transport and logistical services to the oil and gas companies. Bristow, Aero, Caverton and OAS are some of the leading operators in this subsector. Rail transportation to which Port Harcourt always served as a very busy terminus became dysfunctional in the 1990s. Save for the shuttle services intermittently provided by the Nigeria Railway Corporation (NRC) around the Lagos-Abeokuta axis, the entire system seemed to have ground to a halt all over the country. Here in Rivers State, Dr Peter Odili, as governor in 2002, successfully arranged rehabilitation of a train engine and some coaches (tagged Rivline) to provide shuttle services between Port Harcourt and Imo Gate, near Oyigbo. Even at the risk of sounding callous, it is extremely disappointing that this laudable arrangement failed to outlive the Odili tenure. The ongoing railways rehabilitation being undertaken by the present Federal Government is, indeed, a carryover from the immediate past administration. According to the erstwhile Managing Director of NRC, Engr. Adeseyi Sijuwade, completion of the Aba-Port Harcourt rail is aimed at facilitating business transaction between Ariaria International Market in Aba and the popular Oil Mill, Rumuwoji and Mile 3 Markets in Port Harcourt. This, he said, would also help to reduce stress on the Port Harcourt- Aba Expressway. Housing provision has been a thorny issue since inception of the first administration in the state. This was mainly due to the rural-urban movements that resulted from the oil windfall of the early 1970s already referred to above. In fact, from the abandoned property brouhaha in the immediate post-war period to the media war between Governor Okilo and his Imo State counterpart, Chief Sam Mbakwe, in the early 1980s, the housing problem appears to have defied every solution thrown at it. State efforts have actually not been up to scratch, given the bourgeoning population. A list of prominent government housing projects in the state would most likely include those at Igbo-Etche, Iriebe, Oromineke, Oroije and Trans Amadi. It may also include the units built at some of the LGA headquarters. Also deserving of mention are the urban renewal projects of the Odili era which saw to the demolition of some near-derelict houses in Port Harcourt and their rebuilding into modern multi-storey apartment buildings. 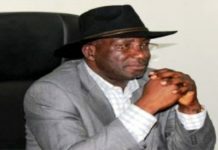 Chibuike Amaechi’s tenure would surely be credited with initiating the Greater Port Harcourt project aimed at developing a new city away from the already congested old township. Under his watch, laws were enacted to stop extortions from property developers by community youths and other touts who forcibly demanded ‘marching ground’ payments. The process of land registration and certificate of occupancy issuance was greatly enhanced with the introduction of the Geographic Information System (GIS). Then enter Governor Wike with the construction and commissioning of 50 medium-income housing units at Iriebe as part of activities to mark his first 100 days in office. The ongoing land reclamation project at the Ogbunabali/Nkpogu Creek on Eastern By-pass is reported to be his administration’s brain child aimed at developing a housing estate for Rivers people while also serving to beautify the area. In fact, the governor was said to have promised easy land access and tax incentives to first-time investors in housing and property development, alongside those in agriculture, ICT skills development, tourism and hospitality. Wike has also recently demonstrated the rare will to evict illegal occupants and repossess abandoned government housing projects after lackluster attempts by previous administrations. Afam Power Station was already in existence at the time of states creation and commencement of the civil war. Like the Port Harcourt Refinery and Bonny Tank Farm, it also got its share of crossfire damages. But just as in the pre-war period, the existence of this thermal power facility was hardly felt beyond Port Harcourt. Even Oyigbo and Afam communities which host this gigantic power plant got connected to its supply only a few years ago. Rural electrification was hardly on the cards of the military until 1979 when the first civilian administration headed by Okilo built the Kolo Creek Gas Turbine at Imiringi (now in Bayelsa) to serve communities in that axis of the state. He also tried to ensure the distribution of giant electricity generating sets to various communities across the state. Unfortunately, a number of these generators were reportedly vandalised while awaiting conclusion of the power distribution process in some benefitting communities. In the entire Rivers State, only Bonny and Omoku could be said to have long enjoyed steady electricity supplies, having been served by the gas turbines operated by Shell and Nigerian Agip in their respective domains. As is virtually the case elsewhere in Nigeria, the power sector privatisation of 2013 has hardly enhanced the economy of Rivers State. Complaints against the Port Harcourt Electricity Distribution Company (PHED) which serves the state and three others have ranged from estimated billing, frequent outages, workers’ strikes, frequent price hikes to poor equipment maintenance. Recently, Port Harcourt hoteliers threatened to shun public power consumption on account of overbilling and poor supply. If the power problem can be resolved in Rivers State and indeed the nation, only heaven knows the extent to which the economy would benefit. This is the general belief, all things being equal. Previous articleFifty Hearty Cheers To Rivers! !